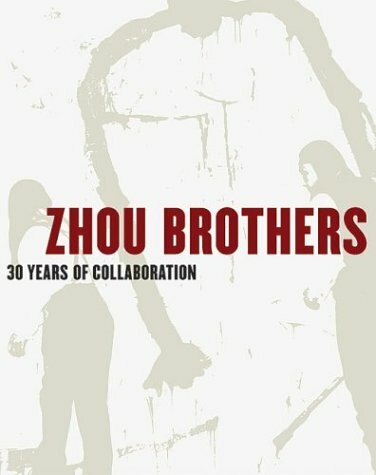 The brothers Zhou--Shan Zuo, born in 1952, and Da Huang, born in 1957--harken from the autonomous Chinese province of Guangxi. They studied art in Shanghai and Beijing and became the best-known young painters of their generation working in mainland China during the 1980s. In 1985, they were the first artists ever given the opportunity to exhibit their work--large-scale, primitivist-abstract paintings--in a traveling exhibition that stopped in the five most important art institutions in China, including the National Museum of Art in Beijing and the art museums of Shanghai and Nanjing. Although the brothers have lived and worked in the United States since 1986, they have never deviated from their original working approach. They develop all of their paintings, prints, and sculptures collaboratively, communicating without words in what they refer to as their "dream dialogues," responding to both Eastern and Western influences, themes, and materials. The Zhou Brothers presents a comprehensive selection of their work. If you have any questions about this product by Brand: Hatje Cantz Publishers, contact us by completing and submitting the form below. If you are looking for a specif part number, please include it with your message.